XYPN member Michelle Gass has had quite a unique path into the financial planning world. After starting her career as a tax accountant, Michelle transitioned into a family office, and then ended up launching and running a successful hedge fund for over twenty years. It wasn’t until after she retired that she decided to get her CFP and launch her own financial planning firm. Now the founder of Paradigm Advisors, a fee-only financial advisory practice that focuses on guidance and support, Michelle joins this episode to share her professional journey. She opens up about what it was like starting a firm from scratch, what her business looks like today, and the important lessons she learned along the way. An overview of Michelle’s practice. The definition of a family office. What a hedge fund is. Why Michelle decided to come out of retirement and open her firm. The most challenging part of starting her own business. What her first months ramping up were like. Why she opened two offices at the same time. Key lessons she learned from starting her own firm. What Michelle calls the biggest failure of any business. How her fee structure has evolved since she started. Staff she has hired and their roles within the company. Michelle's onboarding process with clients. Her long-term vision and priorities for growing her firm going forward. Advice she would go back and give her younger self. Fun Fact! What do many financial advisors have in common? They’re often terrible at doing their own bookkeeping! Enter the Bean Team at FA Bean Counters, powered by XY Planning Network. There’s no shame in falling behind in your books. We’re all guilty of that from time to time. But if you’re leaving money on the table because you haven’t filed expenses correctly, you need the bean team. 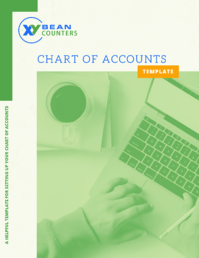 Start cleaning up your books with a free Chart of Accounts template. Visit www.fabeancounters.com/xypnradio to download your copy.